Apple will announce its quarterly results Tuesday afternoon and Wall Street expectations for next quarter’s guidance are somewhere between “sewer drain outside a Jack In The Box in Oakland” and “expired milk aromatherapy”. Apple Inc. earnings this week will confirm what most investors have finally accepted: The iPhone X didn’t live up to the hype. Is it anything like the one in 2014 when they had 60 days to introduce an iWatch or Apple would “disappear?” That was the Macalope’s favorite. …Apple shares were are [sic] down almost 8 percent in the past two weeks through Friday. You know, Facebook’s stock is about flat on the year despite it having to run “OH, GOD, WE’RE SO SORRY, PLEASE DON’T LEAVE US” ads during basketball games. So, let’s not pretend that everything the stock market does is based on cold, calculated logic, shall we? Like a steak that’s battleship gray in the middle. Let’s see if we can follow the logic of these rumors and the reaction to them without going insane. Apple is drastically cutting iPhone X part orders because they wildly overestimated demand for a $999 smartphone. They thought that the same number of people who bought all iPhones in the same quarter the previous year would buy just the iPhone X this year. Sure, that scans. Moving on. Because they were so drastically wrong about people wanting a very expensive phone, they will introduce cheaper versions of the iPhone X this year that will solve this problem. But, we should drop the stock like a literal potato that is very hot anyway because… uh, we don’t make rational decisions, I guess. Apple will also be updating the iPhone SE this quarter, which is a very cheap phone. That will not help at all and this quarter’s sales will be down 5 percent. 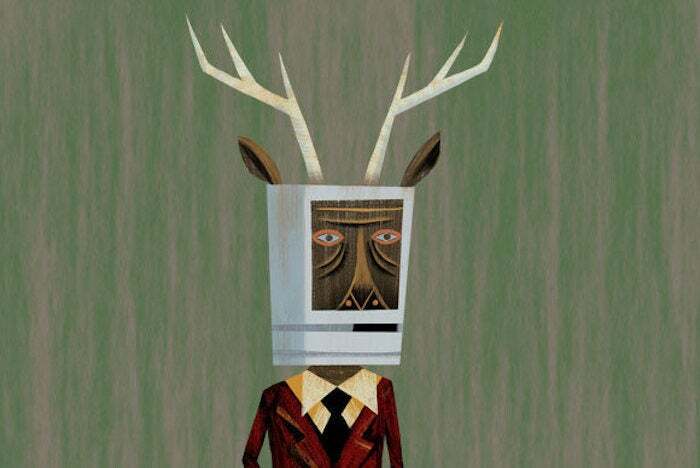 E isn’t really an Apple rumor or a reaction to one, but the Macalope threw it in there so something would make sense. The iPhone X had a bright, edge-to-edge display and 3-D facial recognition, but the $999 starting price was too much for some consumers. That left a hole in the market for a breakthrough iPhone close to the previous price—and Apple is already working on filling this demand. The Macalope doesn’t get this at all. The iPhone X was always a high-priced phone for those who wanted to get next year’s features today. That group was never going to be huge, but it was going to allow Apple to charge some of its customers more. That’s a good thing (well, for Apple, anyway). The fact that Apple is pushing those features down the line is not some kind of startling reaction to poor sales. It is the plan. Unlike the iPhone X which only took 35 percent of the profit in the smartphone market. Well, normally the Macalope would think up some way to wrap this all up but, frankly, he just needs to go lie down now. His head hurts.